Additional county coordinators are welcome. If you would like to add a link to your independent California county history and genealogy web site, please contact the California state coordinator. To find out more about the American History and Genealogy Project, visit the AHGP home page. Additional surname web sites are welcome. If you would like to add a link to your independent California surname history and genealogy web site, please contact the California state coordinator. 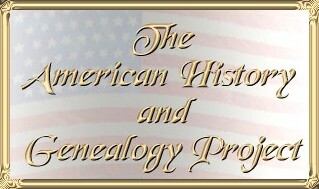 To find out more about the American History and Genealogy Project, visit the AHGP home page. This AHGP website is hosted by USGenNet, Inc., a nonprofit Safe Haven educational web-hosting service providing historical and historical-genealogical Free-access websites. USGenNet is solely supported by tax-deductible contributions. If you have received a benefit from your visit here today, please consider making a contribution to USGenNet and support Free-access online history and genealogy. This page was last updated Sunday, 30-Jul-2006 11:34:56 CDT.